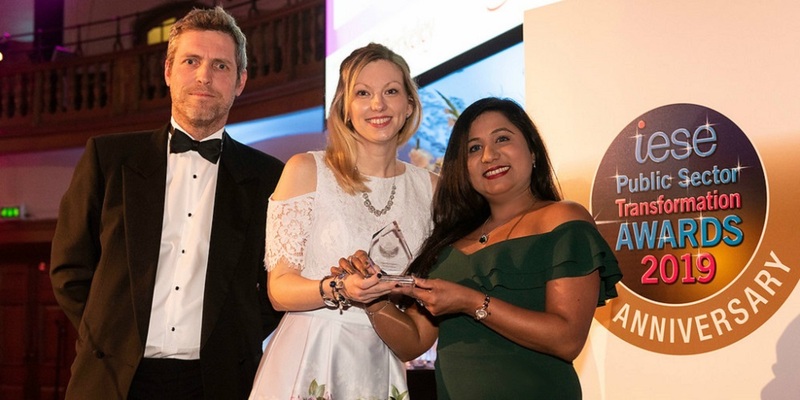 The scheme won the Bronze Award in the ‘Working Together’ category of the Public Sector Transformation Awards, organised by the Improvement and Efficiency Social Enterprise (iESE). Councillor Keith Mans, the County Council’s Deputy Leader and Executive Lead Member for Children’s Services, said: “With a reducing budget, we are committed to finding ways to provide our essential services in new and innovative ways. The Spend to Save programme is a perfect example of Hampshire spearheading successful transformation that has both saved money and provided a better service for all involved. It is now being considered by other local authorities around the country. The annual competition attracts hundreds of entries from around the UK, and Hampshire’s entry was up against joint bids and much bigger schemes in its category. Judges were impressed with the Spend to Save programme, which provides schools with fully-funded new minibuses for their daily use in exchange for transporting pupils who are eligible for local authority funded home to school transport. The scheme has been running for more than 10 years but was reviewed in 2017 with new systems designed to make it easy for a school to see the benefits quickly and this formed the basis of ‘concerted promotion’ to schools. The take up rate has increased as a result and a range of options has been developed to suit the needs of different schools and colleges. Comments from the judges included that the Hampshire minibus scheme showed “real innovation” and that it would be able to “provide even further evidence of impact in future years.” They also praised the provision of minibuses as an asset that enhanced the educational experience the schools could deliver. The vehicles are leased from and maintained by Hampshire Transport Management, the County Council’s in-house supplier of vehicles. The scheme currently operates in 26 schools and further education colleges, saving the County Council over £250,000 a year on home to school travel costs. With 35 minibuses in the fleet, children in education settings benefit from their school using the minibus for school organised activities, such as school trips and other extra curricular activities. Having the minibus based on their premises available for use in this way provides much needed flexibility and reduces pressure on the school or college’s budget.